A travel mug can be many things. The savior of the morning, the barrier between you and a caffeine-less argument, or even the thing that stops you from some nasty burns. But have you ever considered the simple travel mug’s ability to make your brand stand out in the crowd? A travel mug is the first thing people look for to boost their morning . Imagine being exceedingly sleepy and struggling to even get your work clothes on, then hopping in your car for the morning commute only to look down and see the beautifully crafted workmanship of the travel mug in you cup holder. 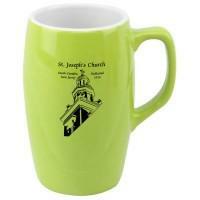 It is filled with an energizing beverage that will make your day a breeze, and on the side of that mug, is a logo. That logo is now the exact thing that you think about every time that you fill your reliable travel mug, to run your day. How amazing is that? A travel mug is incredibly conv enient.Trying to make your morning commute without a travel mug is probably one of the most inconvenient things that happens on a regular basis. Your brand could put an end to that daily inconvenience in people’s routines. Trying to drive with a hot beverage without a proper travel mug is downright dangerous. Your brand could be synonymous with the safety, security, and peace of mind that BRAVA Marketing’s branded travel mugs bring with their reliable engineering and satisfaction guarantee. A simple travel mug can change the way that people see your brand! 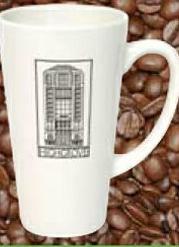 Visit BRAVA Marketing today brew up new clients with travel mugs! Visit BRAVA Marketing today to find the perfect travel mugs for you and your brand today! To check out all of the different travel mugs available and how to customize them, click right here. Don’t worry, there is one for a cup holder of any size!